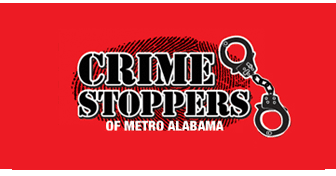 The field operations offices of the Hoover Police Department are located at 3142 Lorna Road directly behind Hoover Commons Shopping Center. Directions: From I65, take exit 252 to Montgomery Highway. Travel south on Montgomery Highway to Hoover Lane East and turn left. Take Hoover Lane East to Lorna Road and turn right on Lorna Road. The Field Operations Office is on the right. 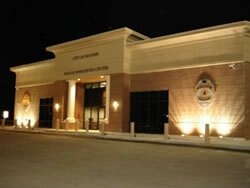 Renovated in 2006 for 1.5 million dollars, the Hoover Police Department's operations building is once again serving as the headquarters for the police department's patrol division. Located at 3142 Lorna Road (behind Hoover Commons), the former movie theater has been transformed into a "state of the art" police facility. An expanded locker room with approximately one-hundred lockers (before there were a total of eight) including new restroom facilities equipped with showers. Dedicated roll call room that contains a computer system linked to police CAD. A large training room that comfortably seats seventy people. The training room has been outfitted with an Audio Visual System that has an integrated sound system with the ability to provide video and DVD to enhance the training experience. Numerous conference rooms and supervisors offices have been added where none existed before. In addition to the professional decor that is apart of all of the new office space, the design also included windows for most of the offices and all of the conference rooms! Chief Derzis was asked to reflect back on accomplishments that have occurred during his tenure as Chief of Police. Of course he named several areas where needed improvements have taken place in the department. According to Chief Derzis, however, one of his most proud accomplishments over the past several years was his success in convincing city managers of the necessity to covert what had been a "dump" into a "state of the art" police facility.